If your smile isn’t what it used to be because you’ve lost one or more of your natural teeth, you’re not alone. As many as seven out of 10 U.S. adults have missing teeth. Tooth loss can result from sports injuries, severe gum disease, and dental decay. Fortunately, dental implants can restore your smile. If you’ve been wondering how the dental implants procedure works, here’s everything you need to know. Dental implants are surgically inserted under gum tissue to replace missing tooth roots. Endosteal dental implants go directly into your jawbone, while subperiosteal dental implants rest on top of the bone. Endosteal implants are the most common; subperiosteal implants are reserved for patients who cannot have an implant placed into their jaw due to inadequate healthy bone tissue or other problems. Endosteal dental implants are made from metal and shaped like small screws. Titanium is the most common material used in making these dental implants. If you’re seeking information about the price of getting dental implants in Haverford, it’s important to understand the dental implants cost is different for each patient. Some patients may need preliminary procedures, such as bone grafts to stabilize their jaws. The crown and metal implant materials used also affect your overall dental implants cost. Although they are more expensive than dentures and bridges, dental implants also offer long-term benefits like superior function, better aesthetic value and facial structure stabilization that other restorations can’t match. Affordable dental implants are a wise long-term investment in your dental health. Would Dental Implants Insurance Coverage Help? Unfortunately, although getting dental implants does help stabilize your oral health, most insurance companies view it as an elective procedure and don’t offer dental implants insurance benefits. A few companies will cover parts of the dental implants procedure, such as the crown placement, so it’s worth looking into the cost of dental implants with insurance by contacting your provider. If you need help managing your dental implants cost, call our office for details about our convenient, flexible financing options. We can help you obtain affordable dental implants. It’s easier to understand the process of dental implants when you look at it step-by-step. Here’s a basic overview of each part of the dental implants procedure. First, your dentist will prepare your jaw for surgery. You’ll receive an anesthetic to prevent any dental implant procedure pain. After an appropriate space is created in your jawbone, the dental implants will be surgically placed. A period of several months will pass while the site heals and the dental implants fuse with the bone. 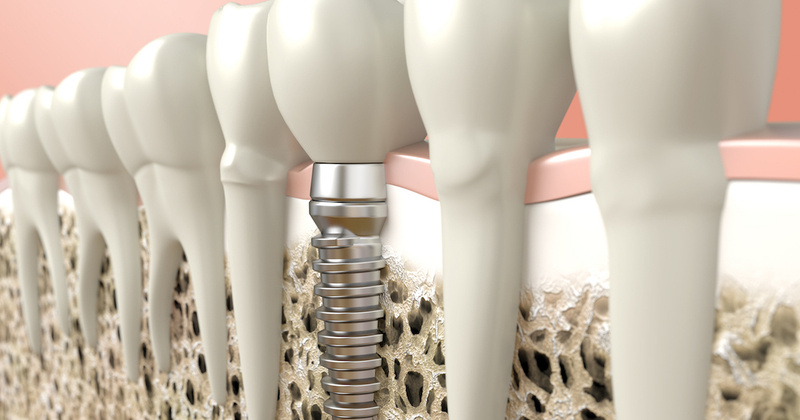 Once the site has healed, a metal connecting piece called an abutment is placed onto each implant. Your natural-looking new crowns are cemented onto the abutments, and your procedure is finished. No other restorative dental procedure can match the amazing benefits of dental implants. Here are five that you can enjoy when you become an implant patient. Dental implants are designed to be long-term or permanent replacements for natural teeth, so there is no set expiration date. How long dental implants last is up to you; great dental hygiene and professional dental care will help them last longer. Many longtime recipients will enjoy their affordable dental implants for years or even decades. 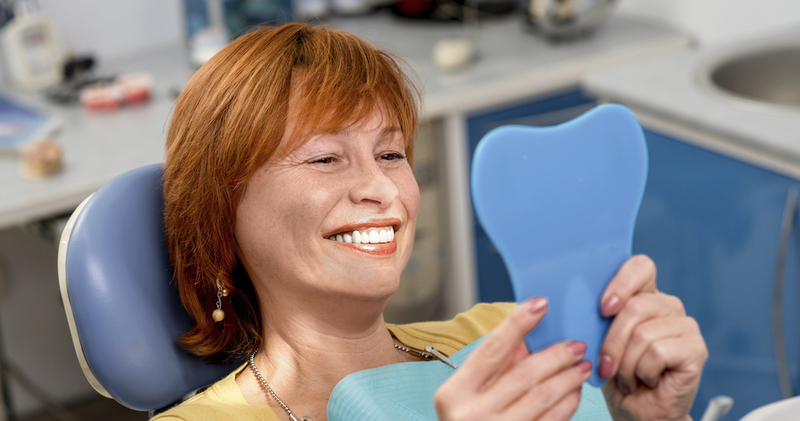 After getting new dental implants, you’ll want to make sure that they stay in top shape. For dental implant care after surgery, follow your dentist’s instructions carefully. You can take over-the-counter pain medications for any soreness. After you’ve healed, caring for dental implants means cleaning them just as if they were your natural teeth. Brush, floss, and use antibacterial mouth rinse as instructed by your dentist or hygienist, and be sure to schedule regular dental exams. Could I Be a Good Candidate for Dental Implants? If you have a healthy jaw and you’re missing one or more teeth, you may be a great dental implant candidate. The only way to know for sure is to obtain a thorough evaluation by one of our skilled dental implant dentists. If you’re ready to schedule a consultation to get dental implants in Haverford, contact us today.